Life is Dope at Rino Supply Company. Not just because the sun meets that Colorado blue and orange sky each sunset. With each nurturing drop of medicinal cannabis oil that stems from a seed which is planted, from every bud that is harvested and each dollar that is exchanged Rino Supply doesn’t just earn a client, they turn a patient into a life receiver. The core constituency at Rino Supply Company isn’t a customer, he or she and they are providers of medicine. In this same way, the supporters at Life is Dope Podcast are the providers of provoking thought, congenial communication and conscious conversation of culture. The connection of Life is Dope at Rino Supply Company was a match that was waiting to happen. 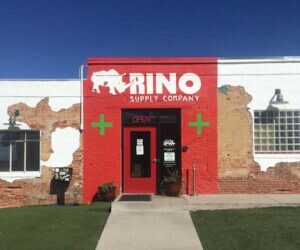 Both Rino Supply Company and Life is Dope Podcast are Colorado born and raised. Both entities established themselves originally in the Five Points neighborhood, Denver Colorado. And both organizations have the mission to provide opportunity and positivity in the community. 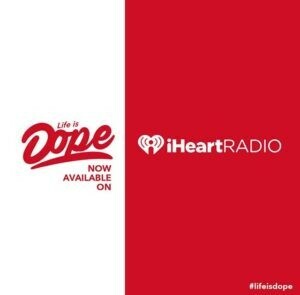 Looking back to August 2017 provided the perfect frame work for the home grown concepts at Rino Supply and at Life is Dope to launch a remarkably simple yet verifiably unique partnership. 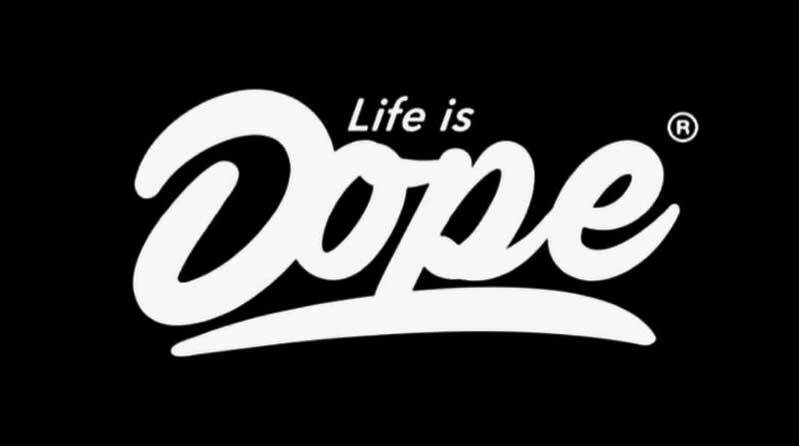 Life is Dope, who holds the lion’s share of the social media exposure for 21-34 year olds in Colorado began a collaborative media partnership with Rino Supply Company, the tenured medical marijuana dispensary in the highly coveted RiNo Art District (River North Art District). The Life is Dope at Rino Supply Company partnership was established through MegaFauna, a creative consulting agency, to effectively bring together local medical marijuana & community activations to social media with marketing, event & creative content collaborations. 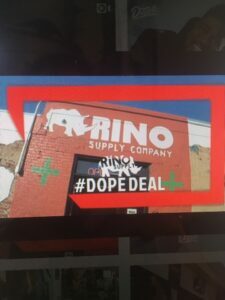 Transitioning into September 2017, the Life is Dope team created their first public advertisement for Rino Supply. This production unveiled a first to market #DOPEDEAL campaign which invited qualified, new and existing members to receive discounts through a custom made text-to-patient package. While both companies enjoyed the direct to market elements, the true nature of their relationship revealed itself during a challenging and honest meeting. In a potentially tense scenario, both parties conveyed the idea that things needed to change. Instead of using that moment to walk away both entities examined exactly what goals they were trying to achieve and compared how each of the respective company’s goals aligned with the other. The result, a rolling long-term agreement allowing each company to evaluate performance quarterly. On the heels of a positive meeting, Life is Dope at Rino Supply Company set out to create an event to celebrate community, culture and collaboration. 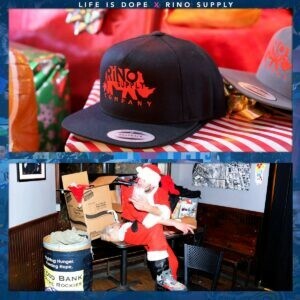 Rino Supply and Life is Dope had set a branding opportunity unlike any dispensary or media company had done before with the 100% charity event, “Life is Dope: 90’s Holiday Party”. 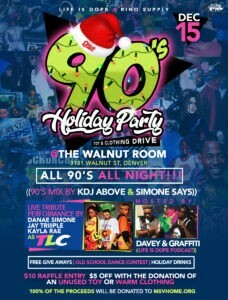 Details from the event can be found here. The #rinogivesback event was been well received across the City of Denver. Bad Santa even made an appearance to collect donations from a packed house of community supporters. Mount Saint Vincent Home received sizable monetary donations from both Rino Supply & Life is Dope. Additionally, both companies donated hundreds of pounds of food to Food Bank of the Rockies, along with cash donations. The warm clothing items filled two 100 lb bins and were handed out to area homeless. As both companies look to end of year festivities be on the look out for a cannabis episode featuring Life is Dope at Rino Supply. If recent history of this collaboration is any indication, the recording will be very educational, informative and very Dope!